So why is DSL continuing to nose-dive? First of all, the phone companies themselves are not interested in pushing the envelope on DSL and instead are focusing on their higher-end offerings: FiOS Internet for Verizon and U-verse for AT&T. Verizon added 201,000 subscribers for its FiOS (fiber) Internet service during the three months ending on Dec. 31, 2011. In comparison, AT&T added 587,000 new U-verse broadband subscribers. U-verse uses fiber-to-the-node technology in combination with VDSL2, a variant of DSL. AT&T lost 49,000 net broadband subscriber ??? mostly DSL. The question is, Can this newer technology make up for the subscriber losses and help Verizon and AT&T grow their overall share of the U.S. broadband market? From the looks of it, I don?? ?t think so. I expect Comcast, which currently is the fastest broadband provider, according to Ookla?? ?s Net Index, to see market share gains. However, this loss of traction by the phone companies in wired broadband makes the recent spectrum deal between Verizon (buyer) and cable companies (sellers) a problematic deal for those hoping to keep broadband competitive. Just how is Verizon doubling its highest speeds? Schommer said the key technology upgrade is from a BPON to GPON passive optical network. Customers with a BPON terminal installed at their house will need to be upgraded to a GPON terminal to get the new, higher speeds. Verizon said it will be able to upgrade the vast majority of customers. The Internet is near universal because it is entirely voluntary. All of the Internet’s signature elements are voluntary, not mandated by governments. Internet protocol (IP) is a networking protocol that became universal precisely because it offered the ability for everyone to communicate in basically the same “language.” No one was required to use IP; people voluntarily adopted it because it was better and offered the most universal networking opportunity. Moreover, the Internet Engineering Task Force (IETF), whose “mission is to make the Internet work better,” is an entirely voluntary, collaborative, multi-stakeholder process that functions outside of government control. For the avoidance of confusion, “voluntary” here means without coercion, not without being paid. Frankly if the ITU could run an Internet, it would have built one, and neither it, nor its spawn could or did. ???We?? ?re in a transformative period with an explosion of technology that?? ?s going to need content,??? Dodd, a former U.S. Senator, told Variety at an industry event this weekend. He added: ???We?? ?re going to have to be more subtle and consumer-oriented. We?? ?re on the wrong track if we describe this as thievery.??? That “technology that?? ?s going to need content??? is true, but the content it needs, and has proved the most successful in engaging the “consumer” is the product of other “consumers,” not commercial peddlers of lowest common denominator entertainment. His example of email as the killer app, is dated, but social networks aren’t. And if you follow the money, you’ll find how insignificant content is relative to connection. The batching process is activated if significantly more than 500 applications are received. Each applicant will be notified to register into an online system to set a future time target. 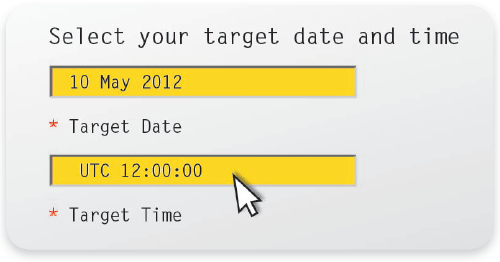 The ability of applicants to “hit” that target at the selected time will be used to determine which applications are placed into the first, or subsequent batches. Next, applicants will return to the online system on that day and time and try to hit submit as close as they can to their target time. It’s kind of like a game of digital archery. First you set the target and then you try to hit it with as much accuracy as you can. Badly, if at all. Which seems to describe a number of ICANN activities. “Digital archery! ?” It’s just wacky. Demandforce?? ?s success puts it at the forefront of the burgeoning ?? ?Local Internet??? wave. The combination of Internet pervasiveness and smartphone penetration has led to a complete reconfiguration with regard to how local businesses interact with their customers. These local businesses have traditionally spent over $125B/year on traditional media, and this is only in the U.S. But the channels they have historically used, such as the newspaper and the yellow pages, are increasingly compromised. These business owners know they need new solutions, and these dollars will be reallocated to these exciting new platforms. Benchmark believes this ?? ?Local Internet??? wave is many times larger than the ???social??? and ???mobile??? themes with which it is often contrasted. What makes SMTP so useful and universal today is that it intentionally transcends any intermediator?? ?s silo or walled garden. It simply assumes a connection. So do the POP (RFC918 and IMAP (RFC1064) protocols (used at the receiving end), for which the relevant RFCs were issued in 1984 and 1988. Those protocols ended up winning ??? for all of us ??? after it became clear that their simplicity, and their oblivity to the parochial interests of network owners and operators, were what we really needed. That was in 1995. In the meantime, a pile of proprietary and corporate email systems competed in a losing battle with each other. Compuserve, Prodigy, MCI Mail, AppleLink, and a host of others were all obsoleted by the obvious advantage of having nobody own the means by which we simply send electronic mail to each other. Forget the corporate green washing and smug self back patting, here’s the real story.